Wanting to do a frugal project? 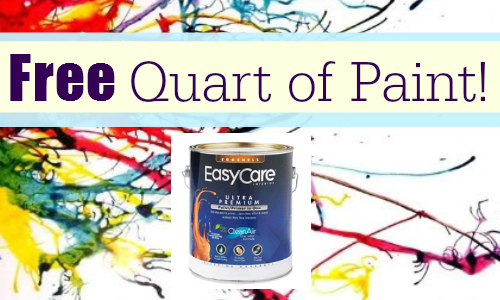 Head to True Value Hardware Store to get a FREE Quart of EasyCare Ultra Premium Satin Paint tomorrow, 4/12. You can print the coupon here. I love FREE paint! You can easily redo a table, bookcase, or even paint a small room. There is a limit of 1 per household.